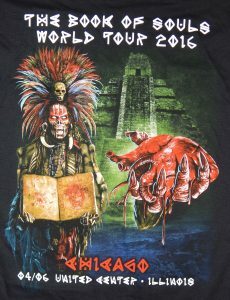 Back in early October of last year, having just spent the most metal week of my life aboard Motörhead’s Motörboat, catching up on the metal news that had transpired while we were away was the discovery that Iron Maiden had announced a tour, which was to open only a few hours from where I lived. All focus and discussion about the cruise was temporarily suspended while my cruise mates and I digested the news and planned for acquiring tickets to this metal event. 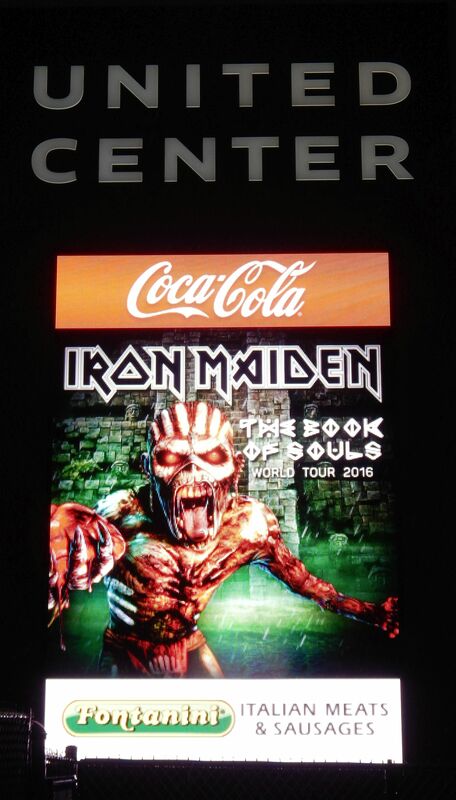 Being a fan since the 1980s, in all of my concert going years I only had the chance to see Iron Maiden once before. Two times when I was younger they had shows scheduled in my area, which I purchased tickets for, only to be cancelled with no make-up date. In 2011 they had a show in Tampa and I was finally able to fulfill my dream of seeing this amazing band live. 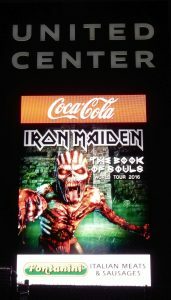 This newly announced tour was in support of their newest release, and first ever double CD, ‘The Book of Souls’ and was to open in Sunrise, FL. I purchased tickets the minute the fan club presale began, made travel arrangements and patiently waited for the big day to get here. As the show drew closer I familiarized myself with the new CD as surely there would be a significant presence of the new release in the set list. 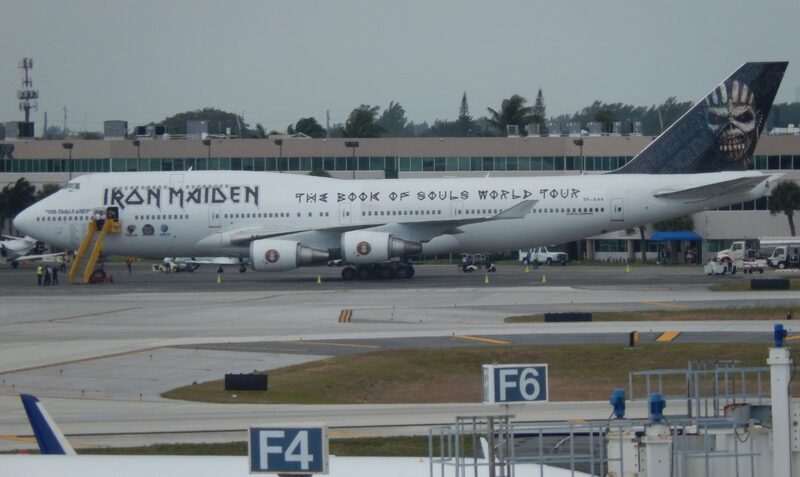 The show day finally arrives and we make the road trip down south, detouring past the hotel and venue exit for a trip to the Ft. Lauderdale airport to get a view of the Iron Maiden 747, aptly named, Ed Force One. From the interstate we could see the plane moving slightly on the airfield – knowing it was not due to depart, my only hope was that they were not about to move it inside a hanger out of the public eye. Once we found a view of it from the roof of the parking garage, it was as if they knew we were coming and moved it with perfect sightlines for our pictures. 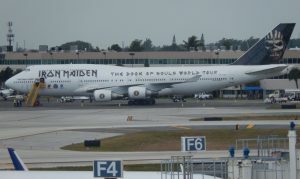 Arriving at the hotel, it was like there was an Iron Maiden convention happening there – nearly every single person milling about in the lobby or partying out in the parking lot was decked out proudly wearing the band’s colors and designs. 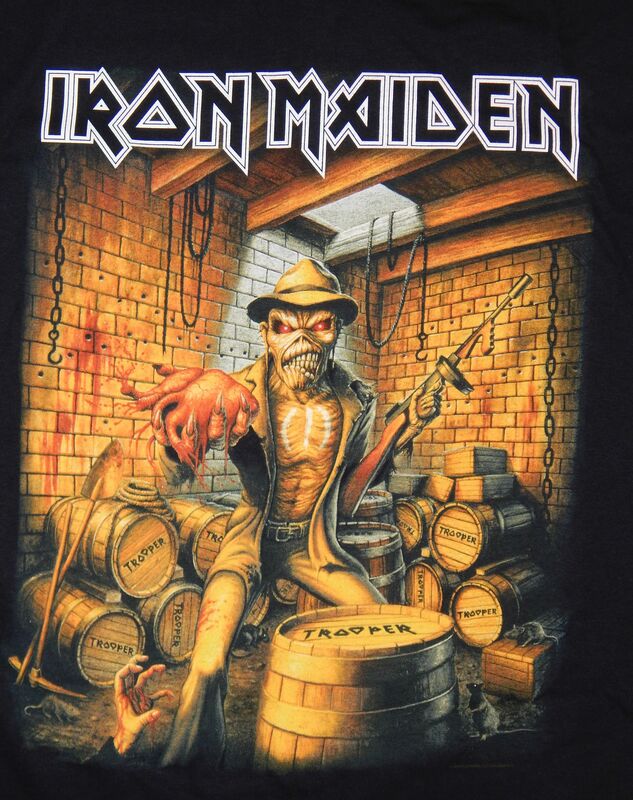 It is well documented and known in the metal community, Iron Maiden fans are some of the most devoted and dedicated fans of any band on this planet. 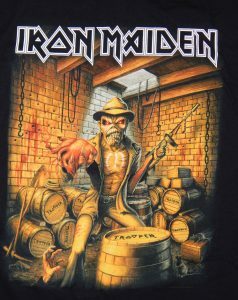 Iron Maiden has been and continues to be a cornerstone of musical influence in the metal community. DVD documentaries of their previous show the depth and devotion of their fans and just how immersed the crowds are at their shows. 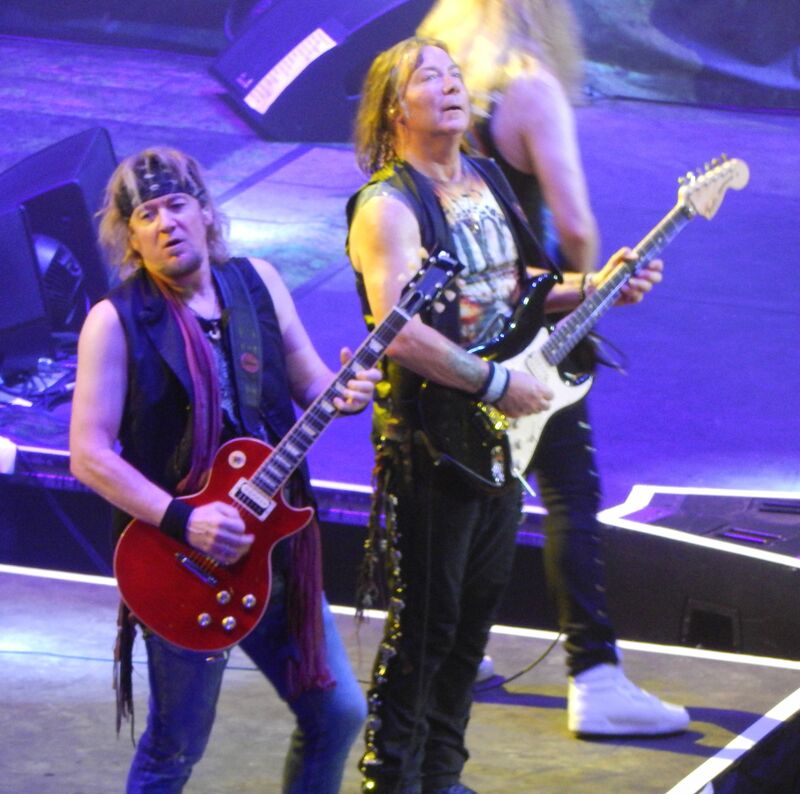 Opening night of this tour was no different as it was fully evident in the faces and attire of the sold out crowd in Sunrise just how devoted fans are to this band. 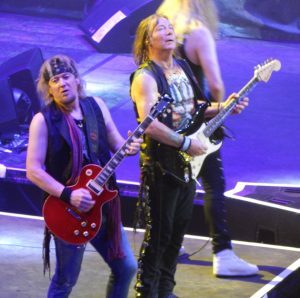 There was electricity in the air as soon as UFO’s ‘Doctor, Doctor’ began to play over the sound system, which is known to fans their staple song signaling that Iron Maiden was just minutes away from taking the stage, their first show in over 19 months. Anticipation grew as a short video showing Ed Force One crash landed, tied down by vines – as it struggles to break the grasp of the vines Eddie’s hand emerges from below ground, grabs hold of ED Force One, and gives it a push to break the bonds and send the plane on its way. The crowd screams in unison as the lights shine on Bruce, covered in a hoodie, his hand swirling around a smoking cauldron atop the ruins of an ancient Mayan temple, the stage built to reflect the band’s mascot Eddie and his new look. He begins the opening notes of ‘If Eternity Should Fail’, a song off the new CD so this is its live premier, and the answer to the much-anticipated question in the fan club forum discussions as to what the opening song would be. As the rest of the band appears on stage it is amazing to witness the captivation of the crowd, myself included, as each member of Iron Maiden draws in the audience and enthralls them with their musical ability, talent, and antics, the way each member interacts with the crowd. The band as a whole is a spectacle to see live as there is so much happening on stage that sometimes it is hard to take it all in. The interaction between band members themselves and the crowd show that the guys in the band are enjoying the show just as much as the crowd is. ‘Speed of Light’ was the next song and by now the crowd was in a frenzy as it was apparent that Bruce’s voice was as strong as ever after having just overcome throat cancer – the band sounded incredible, and Bruce was full-throttle leading the way. Next we were treated to ‘Children of the Dammed’, I say treated to because it had been over six years since the band had last played this song live which sent the diehard fans were in an absolute frenzy. Next played was the live premier of the emotional tribute song to Robin Williams, ‘Tears of a Clown’ followed by ‘The Red and the Black’, yet another premier off the new CD. Six of the fifteen song set list were off the new CD, the fans young and old embraced it all, with the classics obviously getting the loudest crowd response. As the evening and set list jammed along it was as if each song kicked the band and the crowd into a higher gear, It was simply a phenomenal show. Individually and collectively, the band members captivated and mesmerized the crowd with each lyric, note and solo played. The incredible trio of guitarists trading off solos so effortlessly, meshing perfectly in glorious metal harmony. 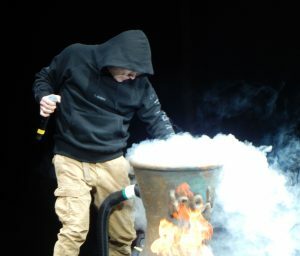 The crowd showed their rabid appreciation and love for one of the greatest bands on the planet by singing along with every song and taking in every aspect of the music, the pyrotechnics, an appearance by Eddie during ‘Powerslave’, the lights and the on stage spectacle of these metal giants as well as each other. After the show I knew I had just witnessed history, well Iron Maiden history at least, from the new songs being played live for the first time to the band closing with ‘Wasted Years’ for the first time in their touring history. What an incredible show they had put on, and I had the opportunity to see them a few weeks later at their show up in Chicago. The same electricity was in the faces of those in attendance at the venue in Chicago. Again, the majority of fans young and old had on Iron Maiden shirts, and were milling about eagerly anticipating the start of the show. 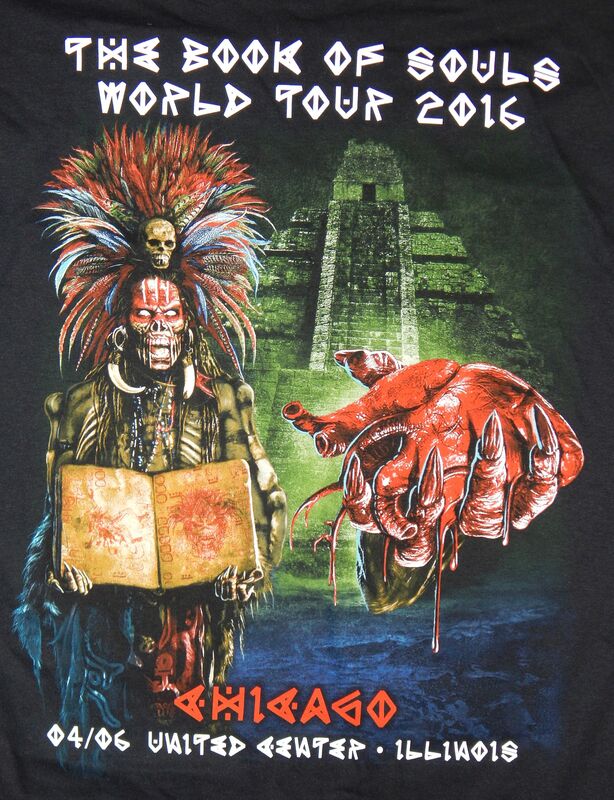 This time I arrived at the venue early enough to purchase one of the ‘event shirts’ in my size, one-off shirts that the band designs for almost every stop on the tour. A last parting note for fans who live in or visit south Florida. Niko, the drummer has an Iron Maiden themed restaurant in Coconut Creek, FL. with tons of the band’s memorabilia, and I have heard excellent food. While my travels down south have not ever afforded me the chance to visit there it certainly is on my bucket list for the next time I am down that way. The Sunrise show’s ‘event shirt’ had Eddie grilling outside Niko’s restaurant.